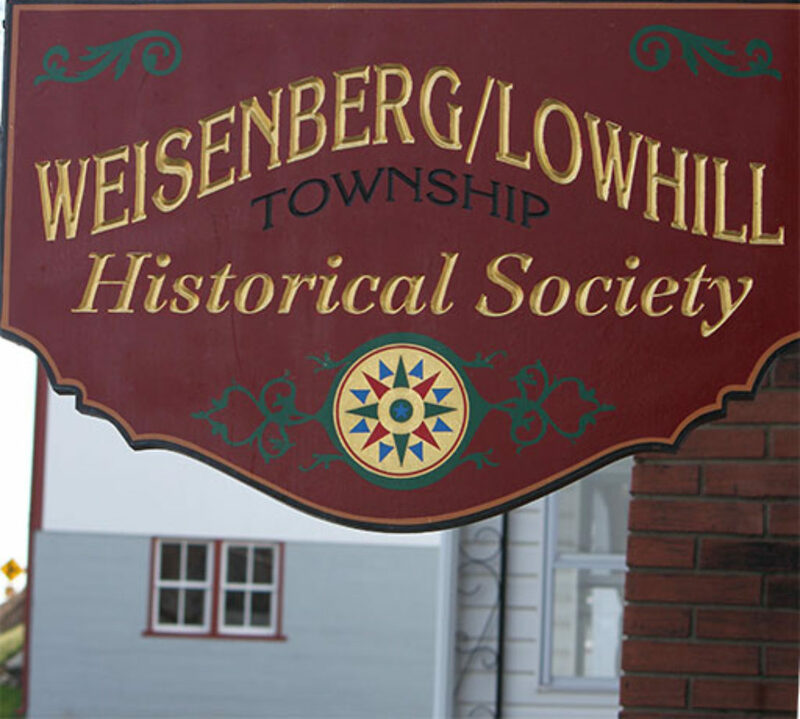 The mission of the Weisenberg/Lowhill Township Historical Society is to promote, support and preserve the collection of artifacts and historical records specifically relating to Weisenberg and Lowhill Townships and their surrounding areas for the benefit of the public. Calendar of Events for 2019 — All Events are Open to the Public. March 9, April 13, May 11, June 8, July 13, August 10, September 7, October 12, November 9 and December 7. Check back for more events to be added to our schedule! Annual Membership Dues are being accepted for 2019. If you have any questions about membership, email weislowths@gmail.com. Not a member? We’d love to have you join us. Categories for membership are Student (in school) $10.00 per year; Individual $20.00 per year; Family $25.00 per year; Individual Life Membership (one time payment) $300.00; and Family Life Membership (one time payment) $375.00. Membership information can be sent to WLTHS, PO Box 91, New Tripoli, PA 18066 and should include your name, address, phone number(s) and email address(es). Any questions please email us at weislowths@gmail.com. Our calendar year for membership runs from January to December.